Specializing in trauma & injury repair pertaining to whiplash, car accidents, pre or post surgery, falls, disc issues, sciatica, stenosis, headaches, arthritis, cancer treatments, neck & shoulder strain. Natural Massage Therapy is the place for healing on all levels. At Natural Massage Therapy, each session is customized to meet the health needs of our clientele. Polarity Therapy, an energy-based healing, releases stress, dissolves old patterns, and eases pain. Nancy M. Turcich is a Natural Therapeutic Specialist, a Board Certified Polarity Practitioner, and author. She has been in the healing arts field since 1986. Ready, aim, fire. Hone in on your heart’s desire. Choose a treatment that is right for YOU. Invite your Personal Power to shine and fill your world with love and light. Find Your Way with Natural Massage Therapy. Available in Prescott, Arizona, Chicago, or Your Hometown. * Relieves stress and structural imbalances. * Releases old traumas, emotional patterns, and physical ailments. * Gently discharges spinal trauma, headaches, eye strain, high blood pressure, TMJ, immune system conditions, and pregnancy related problems. * Reestablishes synchronicity within. Benefits head injuries/discomfort, spinal pain and all nervous system disorders. * Transforms emotionally held energy through the stimulation of acupuncture points. * Increases circulation and unlocks energy blockage. * Benefits abound. Energetic therapy melds with massage therapy in Combo Deluxe. * Recommended for headaches, spinal pain, sciatica, arthritis, carpal tunnel syndrome, edema, strokes, insomnia, asthma and so much more. 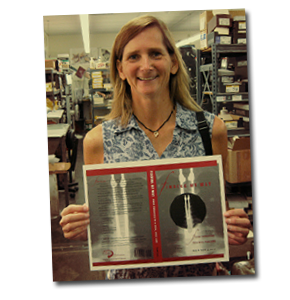 Invite Nancy T to speak with your group, health organization, student body, or book club. Live or via the internet. 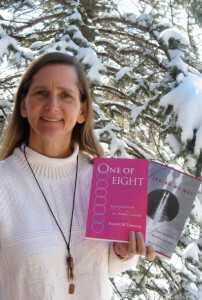 Receive a FREE copy of “Finding My Way From Paralysis To A Rich Full Life” or “One Of Eight–my perspective on our brother’s suicide” by Nancy M. Turcich.